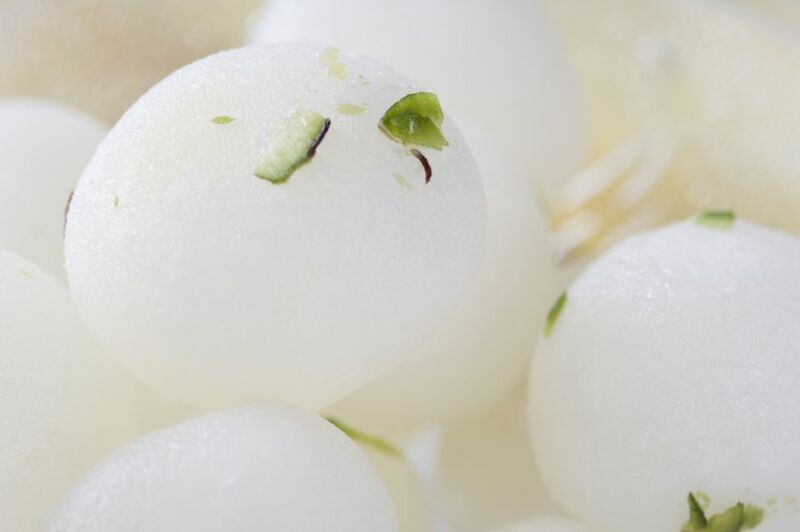 Indian desserts take on an identity all their own, and this rasgulla recipe is no different. Rasgulla is basically soft, spongy balls of cottage cheese that are soaked in chilled sugar syrup. It melts in your mouth and makes a sweet treat that originated in eastern India. Ready to make your own rasgulla? Try this recipe. Bring the milk to a boil over a medium flame. Stir it occasionally to ensure the milk does not burn. When the milk begins to boil, add the lime juice and mix well. When the curds begin to separate from the milk, turn off the heat and leave the milk aside for 10 minutes to let the curdling process finish. Strain the cheese and wash it well under running water. This will remove all the lime juice from it. Now put the cheese in a cheesecloth and hang it for 1 hour over a bowl to completely drain all the liquid from it. Put the drained cheese into a mixing bowl and begin to knead it. Continue until all of the lumps are removed and the cheese is absolutely smooth. When this happens the cheese will begin to release its fat and your hands will feel greasy. The success of your rasgulla-making effort depends on how smooth you knead the cheese, so give it your best shot! Now sprinkle the flour over the surface of the cheese and work it into the cheese to mix thoroughly. Mix the sugar and water in a pressure cooker and bring the mixture to a boil (without covering the pressure cooker). Make sure the cooker is large enough to accommodate the finished rasgullas, as they will expand to double their size while cooking in the syrup. While the sugar syrup boils, divide the dough into small marble-sized balls and roll them between your palms till smooth. Gently add the balls to the sugar syrup. Cover the pressure cooker, add the cooker weight, and wait for the first whistle. Once the first whistle blows, wait another 8 to 10 minutes and then turn off. Release the steam from the pressure cooker and allow the Rasgullas to cool completely before touching them. They will have expanded to almost double their original size and will be delicate when hot. When they are cool, pour the rose water or saffron syrup (made by soaking the saffron strands in a little warm water) on the rasgullas.